Halloween gets a "recalibration" movie for the franchise in 2018. Photo by Ryan Green - © Universal Pictures. Not quite a reboot, not quite a sequel, this movie is considered a “recalibration” of the horror icon that continues the story from the original movie that was released in 1978, brought to you by the producer of Get Out, The Purge, Insidious and The Conjuring franchises. While the film ignores all previous sequels, it pays homage to all Halloween films, while continuing the story from the first movie, 40 years later. Blumhouse Productions and Zombies In My Blog invite you to a free promotional screening on Tuesday October 16th at 7:00 pm at Regal Opry Mills (570 Opry Mills Dr, Nashville, TN 37214) movie theater. 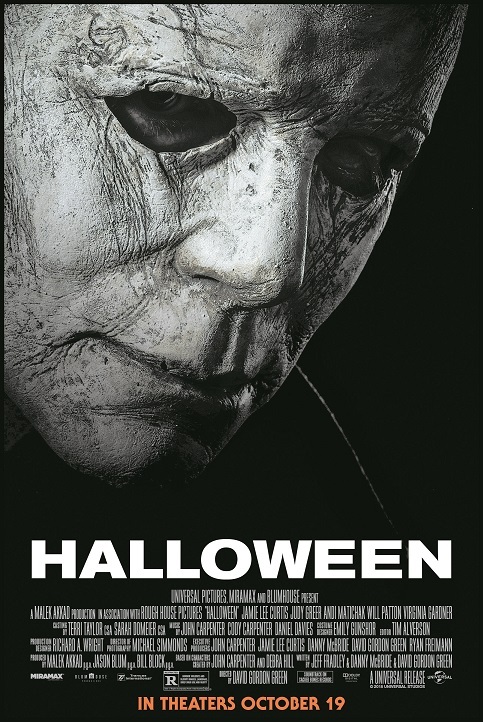 The film stars Jamie Lee Curtis (back in her iconic role from the original Halloween), Judy Greer (Arrested Development), Andi Matichak (Orange is the New Black), James Jude Courtney (Buffy the Vampire Slayer) and Nick Castle (back as the horror icon, 40 years later). Written and directed by David Gordon Green (Vice Principals, Eastbound & Down), written by Danny McBride (Vice Principals, Eastbound & Down), written by Jeff Fradley (Vice Principals) and based on the characters of John Carpenter and Debra Hill, Carpenter returns as an executive producer. John Carpenter claims this will be the final film of the franchise. In order to qualify for two tickets to the movie, all you have to do is like our Facebook and Twitter pages. Winners will be chosen randomly by Friday, October 12th. 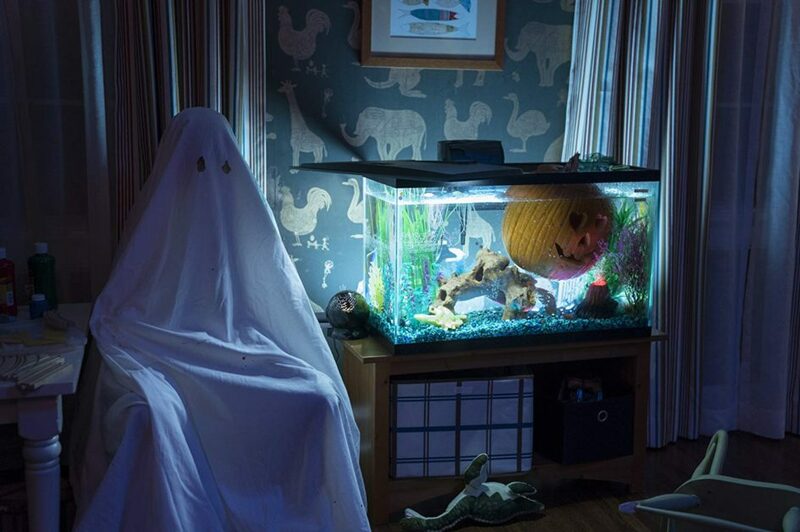 For more information about the film, please visit the Halloween webpage. Halloween will be released nationwide on Friday, October 19th. Don’t forget to use the tag #HalloweenMovie on all of your social media.